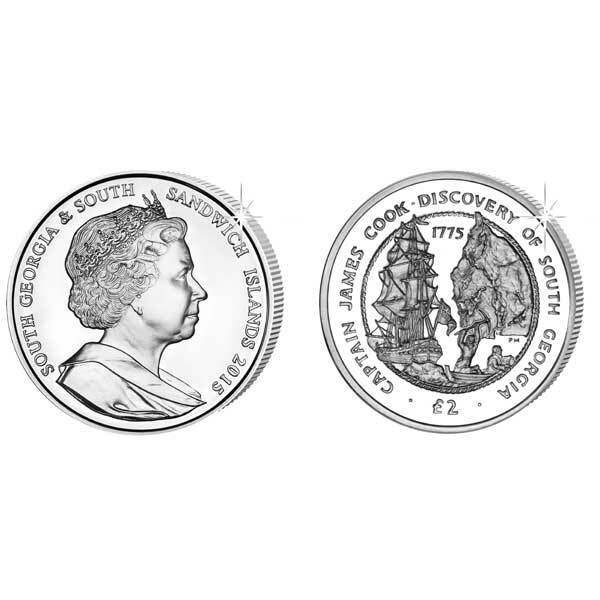 240 years ago, Captain James Cook discovered South Georgia and to commemorate this anniversary, Pobjoy Mint is pleased to announce the release of a new coin on behalf of South Georgia & South Sandwich Islands. 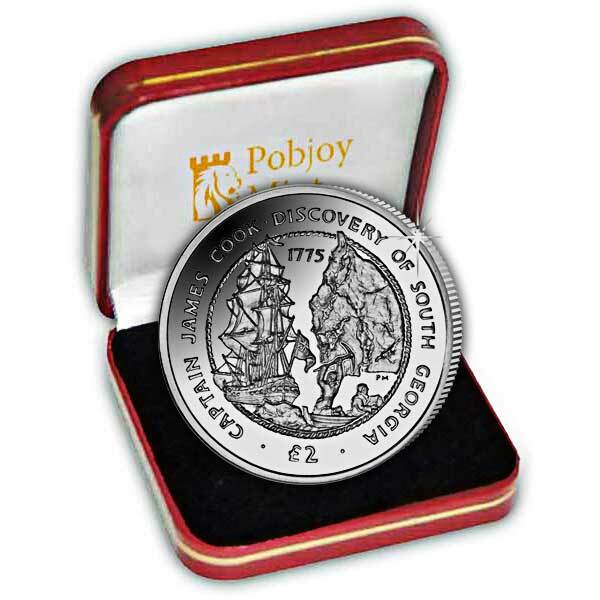 The design on the coin features an image of Captain Cook’s ship The Resolution in the waters of Antarctica. A large iceberg can be seen in the background with a sailor from the ship hacking at a smaller iceberg in the foreground to obtain water for the Resolution. The obverse of the coin features an effigy of Her Majesty Queen Elizabeth II by Ian Rank-Broadley FRBS. Available in Cupro Nickel and Proof Sterling Silver, each precious metal coin has been carefully struck four times and feature frosted sculpting against a mirror brilliant background.